We are officially at more than 70 Episodes of hCG Diet Interviews with Everyday People you guys! Where’s the party hat emoticon when you need it? Wow I can’t even believe it. Nathan lost 110lbs in 6 months with the hCG Diet Plan. Bee went from a U.S. size 28 to a size 8 in pants. Ginn lost 80 lbs with this protocol. 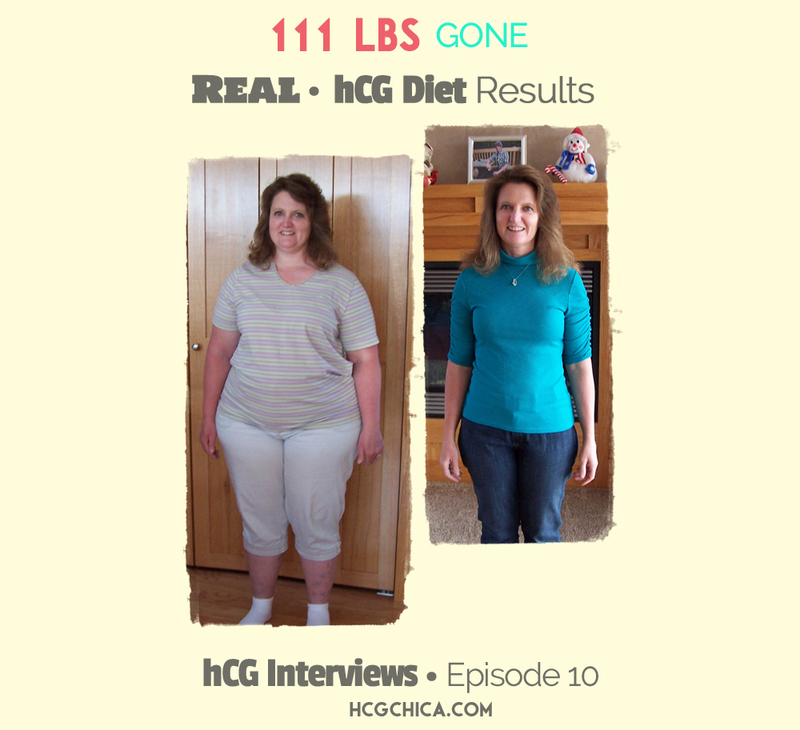 Bonnie went from a size 12 to a size 2 with hCG, despite being in menopause. Sabrina had her body fat tested before and after doing this diet and 93% of the weight she lost was proven to be FAT. All these hCG diet results are everyday people outcomes. Does the hCG Protocol Work? Does it Work Well? The BIGGEST thing that caused me to feel confident enough to try hCG injections (I mean, who decides to inject themselves with a hormone very easily? Not I!) was the REAL people I found on youtube who were sharing their own personal journey while doing this diet. How many sites have you gone to that sell hCG, whether it’s drops or injections, prescription or homeopathic, that has a picture of a smiling thin person holding out the waist of some super huge jeans several sizes too big? You and I both know those are stock photos purchased online right? AHEM: Who is this lady anyway? Do any of us know her? Most likely images like these that we see on these sites did not lose that weight with the hCG Diet at all, and it’s a big question whether these persons were EVER overweight to begin with- more than likely they are simply a model paid to pose in a large pair of jeans right? I guess my point is that these types of images get us excited when we see them, but they’re not actually REAL – whatever diet product you’re looking at to use, don’t you want to see what ACTUAL results people have achieved using it? BTW I had to pay $15 to use the above photo. It was worth it to make my point though. I hope you can see that I’m a real person who not only lost weight, but lost it with the actual hCG Diet (see my personal results here: My hCG Story, My hCG Diet Review, and Timeline of my hCG Weight loss). These are real photos, unretouched, and not altered to make the change look more drastic. I’m aware I’m not a MODEL in the after photo – what I am is a healthy, fit, normal woman now, with a little excess skin left after my weight loss and pregnancy to prove it. And being a comfy size 4 for a year and a half now 5 YEARS (yes, as of Nov 2017 I’ve been maintaining 5 stinkin’ years) is nothing to scoff at for sure. These are the ACTUAL results that you can indeed achieve if you see this protocol through. 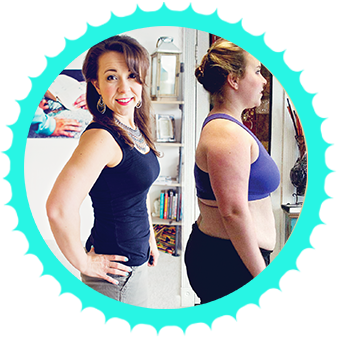 But I also wanted to interview other everyday people I’ve found in places like youtube and facebook, who’ve completely transformed both their bodies and their lives with this amazing protocol. See Some HCG Diet Interviews Now! I get a little bored talking just about myself all the time on this site! Pooling the experiences of many others who’ve done this protocol as well by interviewing them I thought would be a wonderful way to continue the learning journey without things getting too stale. And boy it has turned out to be more inspiring than I ever could have imagined! Not to mention super fun. Somehow I get the feeling that people who are willing to do something so seemingly off-the-wall as the hCG protocol end up being really cool people. Each person’s hCG story is unique and contains some pearls of wisdom that we can benefit from that will help us to either lose the weight, or keep it off. Whether it’s having thyroid issues , having gained weight from menopause, overeating because of emotional issues, having an eating disorder in your past, or being a mom with kids who you wish you could set an example for, you may be able to related to their starting point in some way, which will inspire you that YES you can do this protocol and succeed too. Adele’s weight loss of 28lbs is awesome! She’s going through menopause, has Hashimoto’s and hypothyroidism. She is a powerlifter and stayed active while on protocol and followed 800-1000 calorie version of the hCG diet. She has also tried different types of hCG: injections, homeopathic drops & RX pellets. Lori did a 40-day round of the hCG diet and initially went from 157lbs down to 129lbs, then continued to lose more weight and went further down to 125lbs. She has struggled with weight issues for most of her life and has tried very low-calorie diets in the past with no success. She is also a proponent of the ketogenic diet and she shares her article on Keto diet in her interview. Before she started hCG, Justina had hormone issues which was fixed with the help of her doctor. She has been on many many diets and in Phase 2 of the hCG diet, she was able to lose 19 lbs. In Phase 3, she followed my P3tolife program where she said she did not feel deprived , plus her family enjoys all the meals as well. A big bonus is she even lost an additional 7lbs while on the program! Janatha has been overweight her whole life, weighing 204lbs at her heaviest. She had lost some weight with Weight Watchers and experienced plateau when she was at 185 lbs and that’s when she started with hCG injections. After 5 rounds, she is now weighing 135lbs and transformed from 1 size 20 to an eight! She lost a total of 50 lbs at the age of 39 while on birth control shots. At 42, Natalie lost 18lbs in 26 days with the hCG injections. Her heaviest was at 240lbs and she went through a gastric sleeve surgery. She noticed that she lost less weight on her work days as police dispatcher because of the lack of sleep and less water intake. Her P3 was very successful with the help of P3tolife where she recounted that she did not have to panic messing up again while eating really delicious food! Cindi lost 63 lbs with hCG drops. From 202 lbs to 138.8lbs and size 14-16 to a size 4. Her weight loss journey with hCG (after trying lots of different weight loss programs like Weight Watchers, Advocare, Slimfast, Atkins, Southbeach Diet) has been successful despite having various health conditions in the past like gallbladder surgery, frequent migraines and an endometriosis surgery. Nikki had thyroid cancer and surgery when she was 28. She initially lost weight after having her thyroid removed and then gained a lot of weight subsequently. She is currently taking a natural thyroid hormone replacement. After losing the excess weight through hCG a couple of times, she has been maintaining it for the 1st time with the p3tolife program. Thomas lost a total of 47lbs in two 30-day rounds of hCG Injections. From XXL shirts to XL shirts and he could finally wear his clothes he wore 15 years ago! His weight gain started after undergoing through 50 surgeries, including coma, after car & motorcycle accidents. Hillary, 50, lost a total of 17lbs: 11lbs with the hCG diet injections and 6lbs through the p3tolife program afterwards. From 145lbs, she went down to 128 lbs while maintaining 5 lbs below under her LIW. Carlee, 29, went from 200lbs to 145lbs with hCG injections. She used to be thin & active while growing up but she started packing on weight after college. She has tried “miracle pills” and she shares her experience with B12 & Lipomax in her interview. At the age of 57, Lynda succesfully lost 25lbs with hCG injections. She’s menopausal and she has to be on Hormone Replacement Therapy. She’s a p3tolifer and she stabilized pretty well while feeling all satisfied and full! Thyroid problems & celiac disease made it difficult for Julie to lose weight in her mid-forties. But with hCG injections, she was able to lose 20lbs on P2. What’s more exciting is she continued to shed 8 more lbs while on P3 with the p3tolife program. Arleen lost 15 lbs in her most recent round of hCG with the help of the P2 workbook. At the age of over 50, she has successfully stabilized and even lost more weight while on Phase 3 by following the p3tolife program! Michelle was diagnosed with Celiac about 6 years ago, she also has HPT, fibromyalgia and Hashimotos. Currently at the age of 54, she has done 5-6 rounds of hCG over the past 5 years and overall lost more than 50 lbs and went from a size 14 to a size 4. After losing around 100 lbs on hCG and gaining them back some few year ago, Andrea decided to take a few more rounds this year and lost weight again. Recently, she decided to follow the Simplified p3tolife program and has been in love with it ever since! On top of having a variety of tasty food in proper amounts, she was able to lose 9 more pounds on the p3tolife program. Alexandra has a health condition called stress-induced narcolepsy and had been overweight since she was a kid. She did 4 short rounds of hCG injections and was successful in losing weight. At her constant dose of 250iu with 500 calorie intake daily, she lost a total of 55lbs and maintained it with the help of p3tolife program. Heather is the type who needed structure when it comes to weight loss programs and she has been successful with it. She lost 28 lbs with keto and used the p3tolife program to stabilize – not struggling at all and at the same time being able to eat delicious food with variety together with her family. Pamela had health problem which was stress-induced (PTSD) psychological dysfunction and she struggled with this for 5 years. She have tried 3 half rounds of prescription drops and homeopathic spray a few years back. Currently at the age of 60, her most recent round were she lost 35lbs was with hCG injections which she found the most effective overall. Courtney lost 28 lbs on her recent round of hCG injections. She skipped P3 during her first round 2 years ago & gained back all the weight loss and added more. She did not want to do the same mistake again – so this time, she followed the p3tolife program and lost 3 lbs on the first 2 weeks without depriving herself while maintaining that weight loss. Debbie lost 17.4lbs. She was also diagnosed with Hashimoto’s. She had trouble stabilizing before but she had great success with my P3tolife Program and finally stabilized well! You can also check out her YouTube channel. The link is in the show notes. Nisa lost 44 lbs with the hCG injections. She had a radical hysterectomy in 2013 and she’s currently taking bio identical hormones. She is also diagnosed with hypothyroidism and currently taking 2 thyroid medicines. You can follow her on her IG account. Amy has been overweight as long as she can remember. She lost 104 lbs with the hCG protocol and lost 88.75 inches overall. She has some wonderful tips for Phase 2 for you guys! Denise lost 61 lbs with hCG injections. She has used both hCG injections and drops. And from her experience, there is a huge difference between the drops and the injections.. See her Pumpkin Cheesecake Recipe for the end of P3 here. Lynette here lost 17.8 lbs with the hCG injections. She prepared for her hCG journey by researching hCG for 6 months. She has some really great tips to share with us. Leeann has been overweight since she was 9 years old. She lost 130 lbs with hCG injections. Check out her P2 Chili Recipe – because everyone NEEDS chili in their life! At 60 years old, Helen has regained her size and weight from back when she was 15! Helen talked about how over the past 10 years, she gradually gained weight, in part due to menopause but more from finding comfort in food during times of great stress because of some very difficult situations she through. Jenny lost 25 lbs with hCG drops. She tested positive for Celiac disease but ever since going on the hCG diet and being completely gluten-free, she has not had any symptoms whatsoever and she feels very healthy. We also talked a lot about BODY IMAGE issues Jenny shares her experience with bulimia and how she recovered from it. Bridgette lost 20 lbs with hCG injections and sublingual hCG. She works with an hCG health clinic in Orlando, Florida. She shares with us her Cauliflower Soup Recipe for Phase 2. Please watch the full interview to find out more about Bridgette’s personal hCG experience and also more about their clinic’s hCG program. Melissa lost 110 lbs on her hCG journey. She used homeopathic hCG drops. She was diagnosed with fibromyalgia in late teens. Her body fat test shows her body fat percent is 24.2%. We discussed hCG as a tool and not to rely on it forever where it becomes a crutch. KJ lost 50lbs with hCG injections and she’s been maintaining her weight loss for 4 years now. She’s written a motivational book to overcome personal struggles with fat loss and overall wellness. Moe lost 50 lbs. She has her own blog and coaches other hCGers. She’s menopause, has Multiple Sclerosis, a reformed cigarette smoker, and she’s about to be 52. She used sublingual drops on her 2 rounds. She shared a recipe for Dijon Herb Sauce in this interview. Diane started her hCG journey when she was 57 years old. She lost 102lbs with homeopathic drops. Diane shares some very helpful information on lipedema and interesting tips on cosmetic surgery post weight-loss. Vicky is 56 and lost 114 lbs with the injections. She went from size 26 to size 14. She had hysterectomy, a very bad arthritis and slightly high blood pressure. Vicky has some tips to make this diet doable and tips for traveling while on hCG. Bella lost 65 lbs. She used different kinds of hCG on her rounds. Her family has a history of blood sugar issues and obesity. She has a lot of recipes to share on her social media accounts and she shared one of those with us. Check out her Strawberry Coconut Cream Bars Recipe in this interview. Donna is a practicing nutritionist in Australia and she specializes in coaching women who are 40+ with weight loss and autoimmune disease. She was not that overweight but she struggled with slowly gaining and not losing weight. Check out this interview to see her contact details. Melissa lost 85 lbs with hCG injections, going from a size 24 to size 8. She had diabetes and high blood pressure prior her hCG journey. On this interview she shared some great tips and tricks for staying sane on P2. MEN on hCG. Chris lost 44 lbs in 56 days. He has a lot of tips for men and women on hCG. He is a kinetics graduate and recorded ketone and glucose as well as caloric intake and daily losses. Tracy here lost 47 lbs with hCG injection. And overall she lost 44.5″. She has a Major Depressive Disorder and the antidepressants prescribed to her was a major factor on her weight gain. In this interview she shared some of her sanity savers while on P2. Sarah lost 90 lbs with hCG injections. She went from a size 16 to a size 2. She has Tourette syndrome and Polycystic Ovary Disorder. She struggled with her weight since she was a little girl and now she shares with us how she overcame her eating disorder. Heather lost a whopping 150 lbs with hCG prescription troches, sublingual drops and injections. She has diabetes Type 2, Hypothyroid and Polycystic Ovarian Syndrome. She tried hCG first as a way to avoid invasive surgery. We talked a lot about the process of getting over emotional issues related to her weight. Nance lost 75 lbs with hCG injection. She went from size 22 to size 8. She talked about moving past the yo-yo dieting mentality. We have a very detailed discussion about Phase 3 that will definitely benefit you guys. She charted her macros and calories on Phase 3 so if you want to know more, check out this interview! Kerrie lost 59 lbs using hCG injections. She went from size 14 to size 6. She did not lose all of this weight during P2, she actually lost 23 lbs in between rounds, without hCG. She also shared some of her P2 experiences in this interview. Laynette lost a total of 115 lbs with injection by the time this interview was published. Watch this interview as she share how her life changed by doing this protocol and how having your mind set help you succeed in this protocol. She also shares a P3 recipe for zucchini and eggplant pizza. Casey lost 80 lbs with hCG injections. She went from size 18 to size 6. She has a very interesting tip on cooking food easier and healthier. She also EXERCISED while on P2. So watch this interview to know how she modified her eating on Phase 2 to compensate for that. “Laura” lost 28 lbs with hCG Injection. This is only a written interview. Laura shares her Phase 3 story success with us. This is a very in-depth interview regarding Phase 3. Kimberly went from size 26 to size 12 with hCG injections. She is a nurse and she has a health condition that makes it hard for her to lose weight. Her first round of HCG was very emotional and she had to deal with all of her eating disorders to achieve success. We talked about a lot of helpful tips on both P2 and P3 in this interview. James lost 65 lbs in 1 round of 8 weeks with hCG injection. He proves that even large grown men can be comfortable on a 500-calorie diet when on hCG. Stefanie lost 70 lbs with hCG injections. She was considering gastric bypass when her friend who was a nurse practioner responsible for follow up care of bariatric patients suggested she compare the pros and cons of surgery vs. the hCG protocol. We talked about her 3 rounds of hCG here. Over 60 lbs gone with hCG injections. Mary was considering gastric bypass before doing hCG. She has some pretty good P2 and P3 recipes to share and we also discussed carb withdrawals. Linita lost 74 lbs with hCG. She also found the hCG to improve her fibromyalgia symptoms. She had hysterectomy years ago and she’s on hormone replacement. We discussed a little bit about hormones. Janie lost 122 lbs with hCG injections. She had her hydrostatic body fat testing after hCG. She’s 62 years old when I interviewed her and she has a very inspiring story to share. A follow up interview with Lisa from Ep. 10. She has lost a total of 125 lbs. with hCG injections.She has dealt with major hypothyroidism issues as well, so her experience is encouraging. Mandy here lost 30 lbs with hCG. She has a P2/P3 recipe Pinterest board. She also has her favorite radish rice recipe in there. We talked about struggling with body image and adjusting to your new weight. Patti lost 40 lbs with the hCG protocol. From size 13 to size 0 of the same clothing brand. She used both homeopathic hCG and the real hormone. She had failed Phase 3 before and now she will share how she finally stabilized and maintain her weight loss. Debbie lost 100 lbs with hCG. She was 200 lbs overweight and suffers from diabetes. She was a smoker for seventeen years, she was a binge sugar addict since she was a child, and used sugar and food as a way to cope with some major disappointments in her childhood. One particular aspect we focused on this interview is sugar addiction. Carma lost 80 lbs with hCG. She started her hCG journey at just over 50 years old and she is menopause. She has gone to great lengths to discover the best recipes, the best resources, the best tools to prepare food in a newer healthier way that doesn’t feel like a down-grade to the taste buds. And she shares all that on this interview. Elke lost 70lbs on hCG and lost another 13 lbs or so on her own. She did something different on her Phase 2, she used the Jay Robb protein shakes for 1 of her meals while on P2. She shares more P2 and P3 tips here. Miriandra lost 36 lbs with hCG. She has failed previous rounds but when she took the protocol more seriously she has maintained really well. We talked a lot about how she went from failure rounds to successful rounds. She shared lots of tips on how to not fail based on her own experience. Lisa lost 111 lbs with hCG. From size 24 to size 8/10. Lisa ate healthy and exercised but still she gained weight and could not lose it. She had tried different kinds of diet but only lost the weight on hCG. We discussed a lot of topics on hCG and metabolism. Nathan lost 110 lbs with homeopathic hCG. This is the first real diet he has ever done and he did great. He was able to go back to physically demanding work without feeling “weakness” after his weight loss. Ginn lost 100 lbs with hCG. She was heavy even as young as 6 years old. She recalls trying to do her first diet when she was 10 or 11. She did fail some rounds so we talked about the keys to her long term success and what helped her live in a healthy way. B lost 100 lbs in 16 months. From size 28 to size 8. B took a solid 6 months to research the protocol before starting it herself. She shares that throughout her 4 rounds of the diet she has had to change her dose every round. We discussed lots of tips on Phase 2 and how she maintained her weightloss. Donna has a very motivating story to share. She lost 127 lbs with hCG injections and she went from size 20 to size 7/9. She also deals with Multiple Sclerosis. She states first of all that the biggest factor that she learned in hCG is that she is in a healthful mindset now. You can see the link to her YouTube channel in the show notes. Laurie lost almost 80 lbs with homeopathic hCG pellets. She went from a tight size 15/16 to a comfy size 3 in jeans. There’s a lot to learn from Laurie and she also has her own very informative YouTube channel where she vlog her hCG journey. Jeana lost 65 lbs with hCG. She said that she started feeling uncomfortable being overweight and she was concerned how her daughter will feel having an overweight mom so she started doing the hCG. She lost 65 lbs in 5.5 months, 2-month break included. We discussed about stalls on the hCG diet and how the online hCG community helped in her success. Bonnie lost 50lbs with hCG injection. She went from a size 12 to size 2. She has been menopause for about 4 years when she had a hysterectomy. We discussed her 2 keys to success. Watch the interview to learn more. Barbara Yaffee, a 56 year old cancer survivor lost 15 lbs with homeopathic hCG drops, in menopause no less! She has a lot to share with us in this interview. She also has some websites that can help not only in your hCG journey but also in life. Sabrina lost over 50 lbs with both prescription hCG nasal spray and hCG injections. She had her body fat tested and she lost 93% FAT on hCG. I asked Sabrina for the 3 keys she finds most important to doing the diet plan successfully.